Glasses clinking. The scent of roses. And views over acres of beautiful gardens. …you’ll make your way to the rose terrace for drinks and canapés. 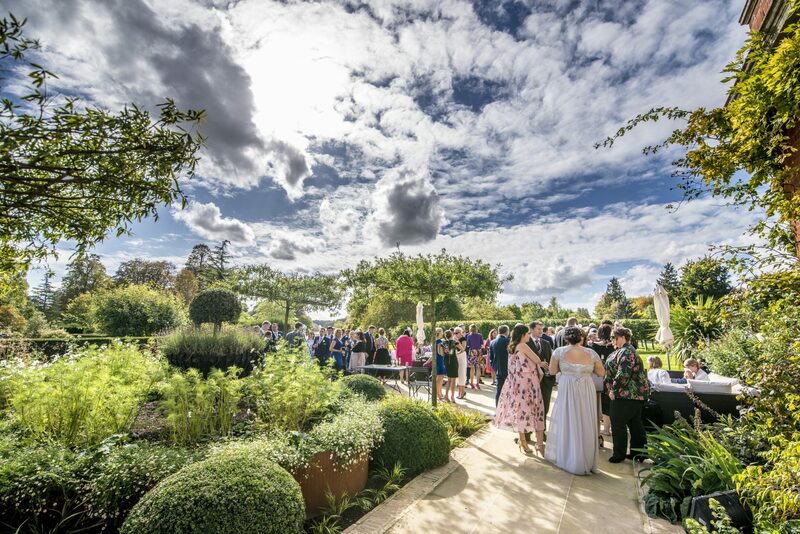 While you take the opportunity for photographs, your wedding guests can explore the house and its award winning gardens in our truly unique and versatile wedding venue. The extensive gardens and park are to be enjoyed exclusively by you and your wedding party.